MUZAFFARABAD: Chief of the Army Staff Gen Qamar Javed Bajwa has asked India to adopt the course of dialogue for peace and progress in the region instead of resorting to provocative statements and ceasefire violations. 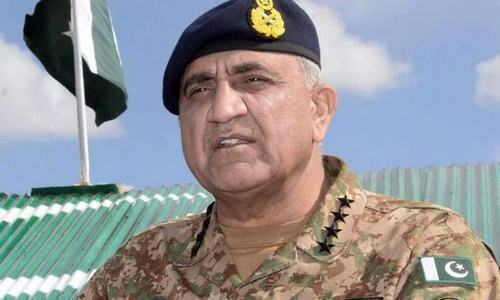 According to the Inter-Services Public Relations (ISPR), Gen Bajwa made the suggestion to India’s civilian and military leadership during a visit to the restive Line of Control (LoC) in Azad Jammu and Kashmir (AJK) on Wednesday. 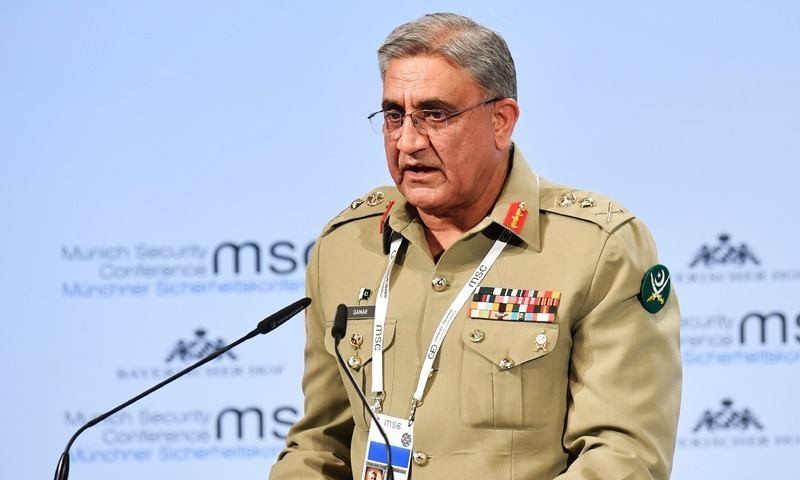 Gen Bajwa pointed out that lately there had been a surge in ceasefire violations by India and rhetoric of provocative statements by its military leadership. “We are a professional and combat hardened army ready to defend our motherland … It would be better if they [India] realise this and place their stock in peace and progress through dialogue,” he said. Earlier, the general officer commanding of the area updated the army chief on the situation prevailing along the Line of Control, including ceasefire violations by Indian troops and Pakistan Army’s response to it. Gen Bajwa also interacted with the troops on the occasion and appreciated their state of readiness and morale. He praised the resilience of the civilian Kashmiri population being deliberately targeted by the Indian forces on both sides of the LoC. It was Gen Bajwa’s second visit to the heavily militarised dividing line in AJK’s southernmost Bhimber district in less than a month, amid unrelenting ceasefire violations by the Indian army in a serious breach of November 2003 truce between the two countries. The ceasefire violations have been frequently causing civilian casualties. On Tuesday, two girls were injured in Haveli district in unprovoked firing by the Indian army, raising the number of injured persons to 153 and those of the dead to 27 in Azad Jammu and Kashmir in the ongoing year alone. In his last visit to Bhimber district on Oct 25, Gen Bajwa had made it clear that Pakistan Army’s belief in peace and stability should not be misconstrued, as troops were fully prepared and determined to defend the country. Apart from that, he has also been giving an unequivocal message to India that Kashmir was the core issue and would have to be resolved between India and Pakistan in accordance with the United Nation resolutions and the aspirations of the Kashmiri people for a lasting peace in the region. Make some ground work first. Build confidence and trust. Then only situation become favour for talks. Praying for peaceful south asia. If you remain hung up on Kashmir, Pakistan's economy would never improve. What about starting a new conversation, General Saheb ? You know dialogue wont happen. Kashmir may be a core issue for Pakistan, but India regarded it as an internal matter. Please allow Civilian Government to speak .. !! too many mixed signals from both sides is not working. Pakistani sentiments about Kashmir have no taker in India. Kashmir issue remains a backburner, because the next national election in India is around the corner. For present BJP Government the priority remains economy progress. Pakistan should do the same, bring first your economy in order, the rest would happen simultaneously. Seems he understands better than IK in terms of India’s advance strategy and upcoming projects with USA in the region. Just figure out a way of not provoking one another. This will give peace a chance on the borders. The common man in India wants to see that people who have harmed India are brought to justice. Start from there and win over our hearts. India is trying to make friends with all countries in the world, why not Pakistan? Who are you to ask? Don't you have an elected govt? 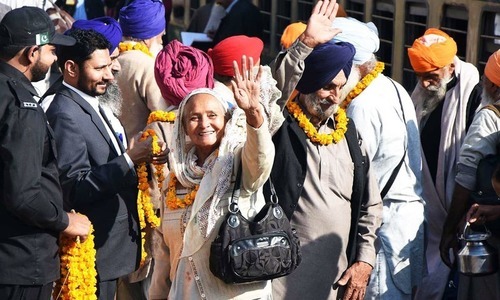 The same Bajwa who decided to open Kartarpur corridor so Singhs like you can have unhindered access to their holy site. Very same Bajwa. @AW, : vision and courage are the two words which seem to haven been taught to you. @Chinaman, it is elected by the establishment and the whole world knows it. What's in it for India? We are getting along fine. Shouldn’t this be the job of our Foreign Minister? Open the corridor. Talking etc is different matter. Do what you are told to first. The need of the hour is Pakistan's civilian and military leadership coming together and talking to India. Take a few confidence-building measures and stick by them. That'll automatically pave way for a stronger relationship. @NP, How about the Kashmiri sentiments? Sentiments of those who have lost their loved ones? Sentiments of those who have been blinded by pellet guns? Sentiments of those who have been raped by the security forces? Sentiments of those who have been tortured and killed? Do these sentiments hold any value for Indians? @mr.parki, "first improve your economy,"
There is no 'first' or second. Governments deal with multiple issues simultaneously. Elementary my dear! Let the elected politicians speak. The arrogance in the comments from our friends across the border is tangible. @bhaRAT©, First economy without that no standing .